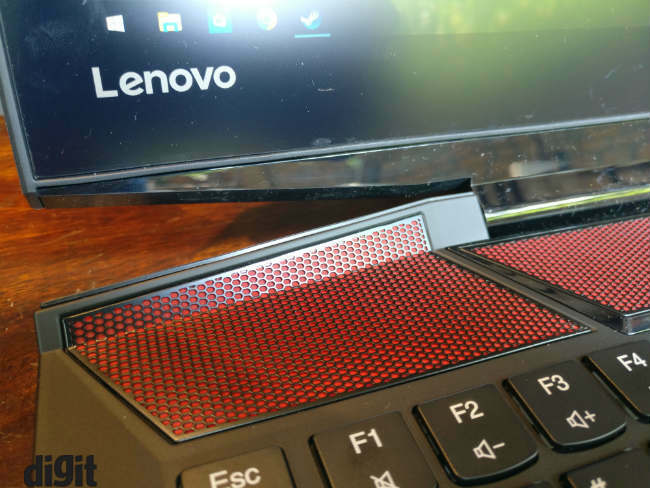 The Lenovo Legion Y520 and Y720 laptops are essentially updated variants of its previous Y series laptops, and that’s a good thing. 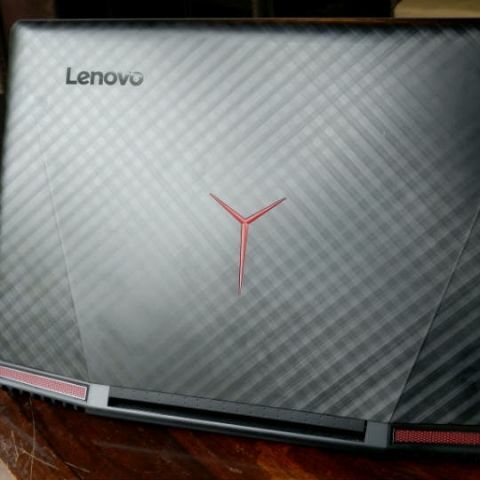 The Lenovo Y-series laptops have been around for quite some time now, but earlier this year the company decided to give this gaming range a new identity, renaming the Y-series to Legion. 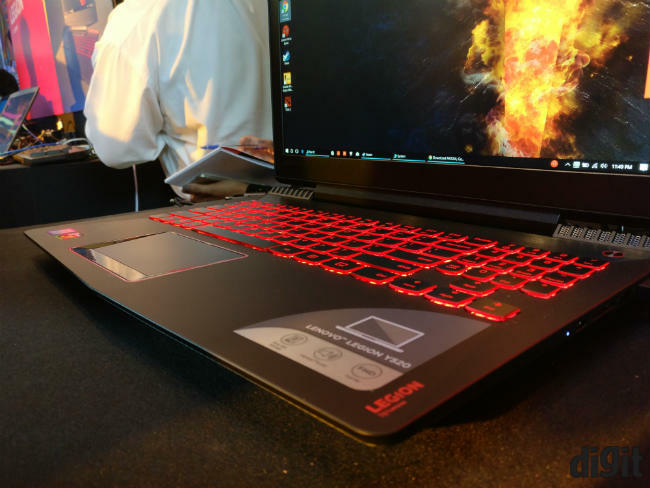 Yesterday, the company announced two of these Legion series laptops in India, including the Legion Y520 and Y720. As the name suggests, the Y520 is the less powerful of the two and is priced at Rs. 92,490 and Rs. 1,05,101 respectively for its 8GB and 16GB RAM variants. As for the Y720, it is now Lenovo’s flagship gaming laptop for 2017, and will set you back by Rs. 1,49,990. Both laptops share similar design and hardware, but they are not exactly the same. So, what is new? How do they stack up against the competition and what do they offer in general? Let’s dive into it. Last year's Lenovo Y50 and Y700 were well built. Lenovo has continued that quality here and the two new laptops look equally good. The less expensive Y520 features a plastic shell all around and the Y720 gets a metal top, but the base is still plastic. Lenovo tells us that it is using a higher quality plastic than usual mainstream Lenovo laptops, for the base. The keyboard layout and feel seems to be the same as last time. Both laptops feature backlighting, although there is a difference here. The Y720 has four zone RGB backlighting but the Y520 features red backlighting only. In addition, the intensity of the backlighting can now be managed. Both laptops use a single hinge mechanism for the display and seems quite sturdy. The heat exhaust on both are at the back, featuring orange heat sinks, which add to the design quotient. 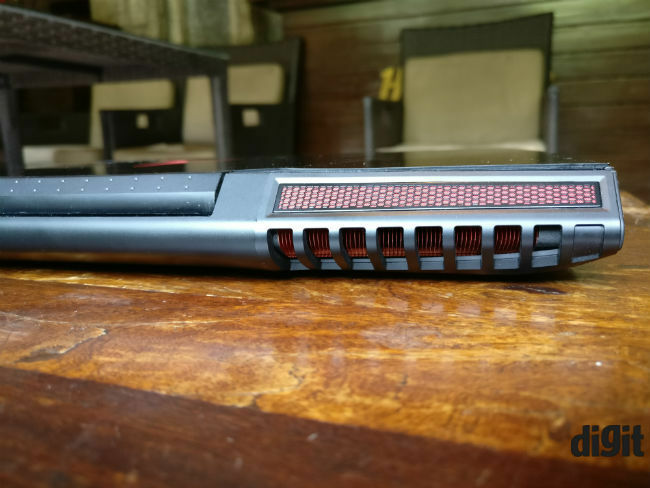 The Y720 has more red accents on the front as well as the back and hence looks more aggressive. Inside, both the Lenovo Legion Y520 and Y720 feature 16GB of RAM and a dual-storage solution, comprising of 128GB SSD and 1TB HDD. The displays are 15.6-inch 1080p IPS panels on both, and seem to have good viewing angles. Both laptops use the same 7th gen Intel Core i7-7700HQ processor, which offers minor upgrades in performance over the Intel i7-6700HQ used on last year’s Y700. The main difference between the laptops in terms of hardware is the GPU. The Lenovo Y720 uses the NVIDIA GeForce GTX 1060 GPU, which also makes it VR capable. The Y520 on the other hand has a NVIDIA GeForce GTX 1050 Ti. This means both laptops can run most popular titles at 1080p without any issues, although the 1050Ti powered Y520 may struggle in some titles, at higher settings. In addition to upgrading its gaming lineup with the ‘in trend’ hardware, Lenovo has also integrated the wireless receiver for the XBOX controller. So, if you have a wireless XBOX controller at home, it can be paired with the Legion Y720. This functionality is missing on the Y520. 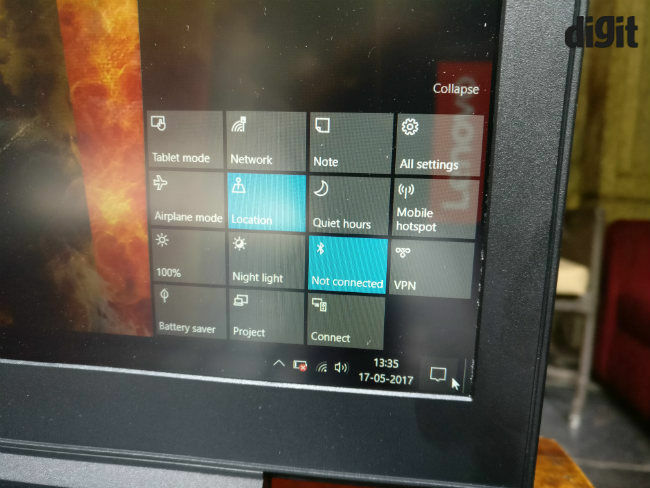 Both laptops come pre-installed with Lenovo Nerve sense, which is essentially a Settings hub from where users can turn the cooling fan all the way up, change audio settings using the Dolby software and more. The most important Nerve sense feature in my opinion is the local recording feature, which allows you to record gaming sessions and upload to various platforms. All these features can be triggered using shortcut keys as well. 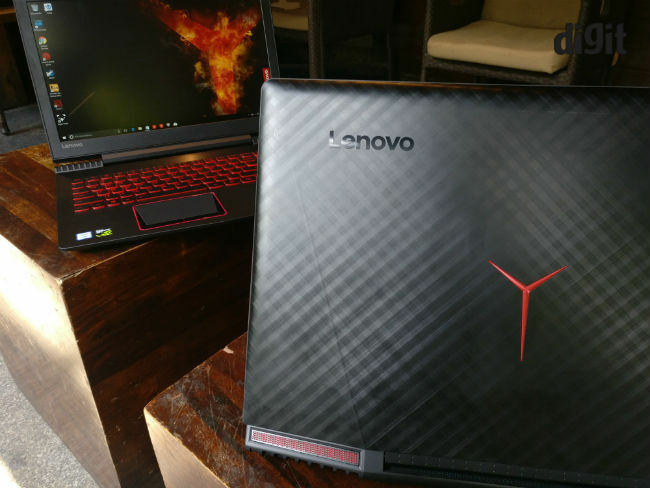 Lenovo has covered all the essentials a gaming laptop should feature. Both laptops have a red and black paint job. The design is angular and distinctive and almost all ports are covered. Both laptops feature three USB ports, one USB type-C port, one HDMI-out, a microSD card slot, ethernet jack and a microphone/headphone jack combo. However, there are some extra features on the Y720 over the Y520. So, one of the USB 3.0 ports can be used for charging, the Type-C port supports Thunderbolt and it also features a mini display port. Beyond this, I can only tell you that the updated or upgraded laptops have the potential to be the best in their respective categories. More importantly, Lenovo still has the most radical looking design for the price, which works for its main customer base (gamers). We will be reviewing both the laptops soon and will try to give you a more detailed opinion on whether they are worth your hard-earned cash.